Lesaffre supplies the world’s finest yeast and bakery ingredients to commercial bakers around the world. Since 1853, our ingredients have set the standard of quality and innovation for generations. Partnering with trusted distributors extends our ability to deliver bread-making solutions to suit the diverse needs of the marketplace. 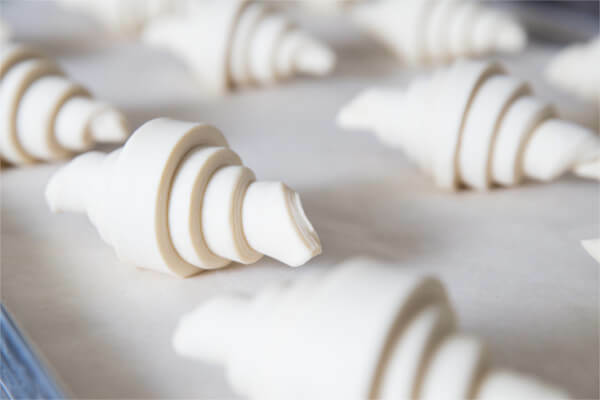 Taking on the industry’s most pressing challenges and demands, we supply industrial, foodservice, craft and convenience bakers across Australia, New Zealand and the Pacific. Research and development has always been at the foundation of Lesaffre culture. With a focus on staying at the cutting edge of innovation, each day brings fresh challenges to launch innovative products and develop new applications. We have 10 dedicated R&D centres around the world, where more than 500 experts constantly strive to do what’s never been done before. Collaborating with customers, universities and research centres means that evolution and solutions happens even faster. From lab work to applied trials, teams of enthusiastic specialists give their all to creating the future in yeast, ingredients, health, nutrition, and more. This unique combination of innovative spirit and practical know how continues to drive technical advances. We stand alongside bakers, committed to meeting the latest needs of the evolving marketplace. Since Lesaffre established its first technical support centre in France in 1974, the knowledge-sharing tradition has continued,handing down business secrets and recipes from one generation to another, from one culture to another. Today, Lesaffre has a network of more than 40 Baking Centers™ globally, including one in Australia, and 10 more across Asia Pacific. The language of bread crosses cultural boundaries, encompassing a familiar mix of aroma, flavours, textures, sounds and visual appeal. In our centre of bakery excellence in France, our sensory experts use dynamic methods to decipher consumer vocabulary into technical savoir faire and practical advice. Their expertise helps perfect solutions for a wide range of baked favourites, including baguettes, brioche, croissants, pita pockets, sourdough and more.